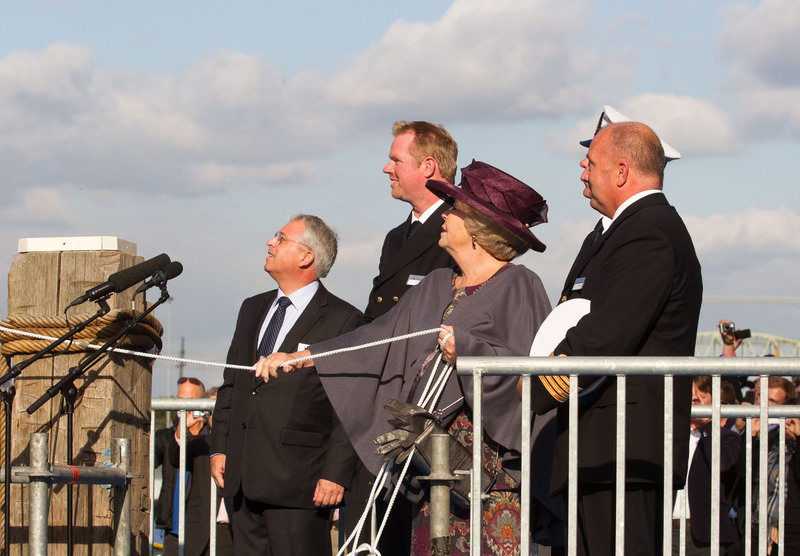 Queen Beatrix of The Netherlands christened the pilot boat Polaris on the Rotterdam waterfront on Wednesday. The boat was built specifically to withstand North Sea weather and can handle significant winds and waves higher than four meters. Built by the Barkmeyer Shipyard in Stroobos, the diesel-powered vessel can stay out at sea for four weeks and is able to achieve a maximum top speed of 16.5 knots. The vessel has already started operations for the Dutch Pilot Organization. Two sister pilot boats will follow her in 2013 and 2014 respectively, according to the Ship Building Industry.